These figures are decent, though the guy in the front center was missing his AK barrel. I had to drill it and replace it with a piece of wire. These guys are the same package as I painted before, and the complaints about the posing and detail I had with the last bunch hold true for this bunch as well. 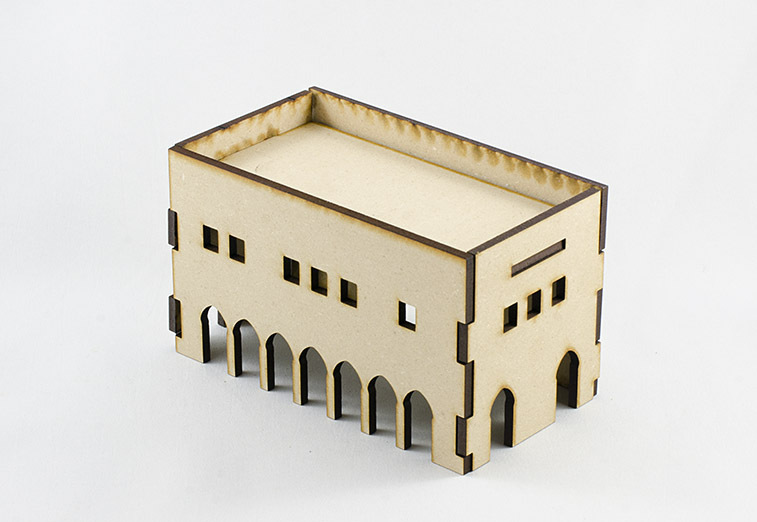 And finally, one of my new Gamecraft Miniatures laser-cut wood buildings. 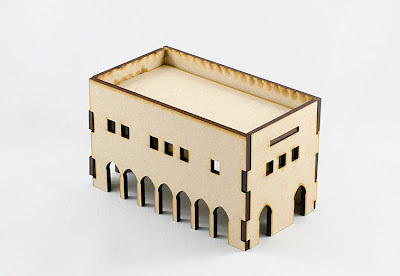 I ordered 20 or so buildings, everything from tiny hovels to large-ish compounds and a mosque. This is the only one I have opened, and I think it looks great! It's simple, but I have to spackle the whole thing so any surface detail would be lost anyway. The fit is great and I think it will be really sturdy and durable once it's finished. Lots more photos of these to come, I think.